“Oh…you know. Just a typical day,” I replied with a cryptic grin. “That bad, eh?” she joked. She looked relieved. She set back to the task of eating the remainder of her lunch. While at the Bard’s college, I was tasked with finding a lute, drum and flute. I thought it odd that I wasn’t learning to actually play any music at the college. I was just running errands for the staff. Fabulous. I was heading towards a useless liberal arts degree. I sighed. This was not at all what I imagined the legendary Bard’s College of Solitude would be about. I read legendary tales about bards who weaved a type of magic with music. There was none of this here. Nevertheless, I sacrificed much to get here, and by the Nine, I was going to finish. I pulled out my map and surveyed the area. 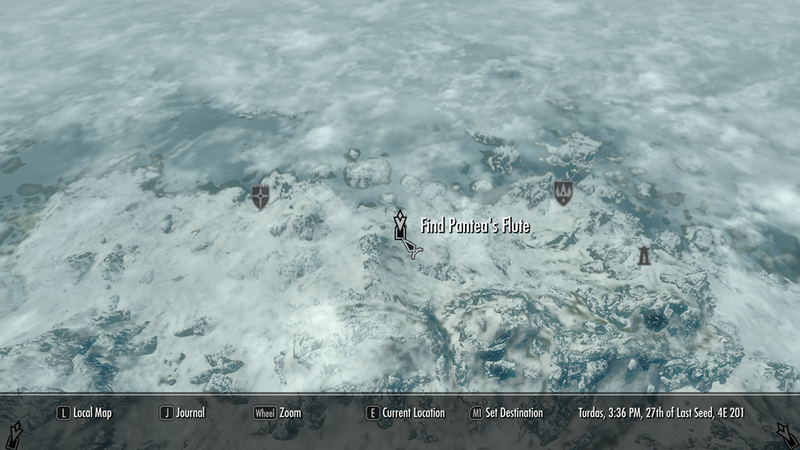 Pantea’s Flute was the closest, just southeast of Dawnstar. 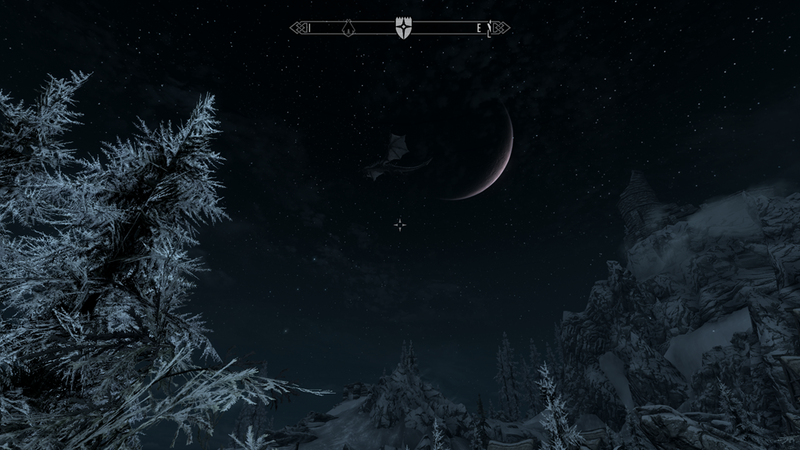 We arrived at Dawnstar in the evening. 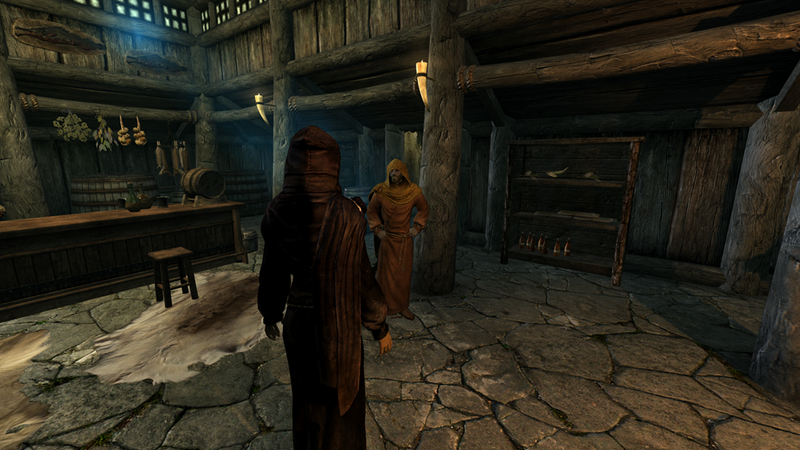 As we walked towards the inn for supper, I grabbed Lydia’s arm and stopped her. “Wait! Up there!” I pointed to the night sky. Circling above was a dragon. We heard it roar. We prepared ourselves for battle, but to our relief, the dragon did not attack. It flew off somewhere into the distance. We set back on the path to the inn, but we were full of adrenaline. We hoped a warm meal and a bottle of wine would settle our nerves. 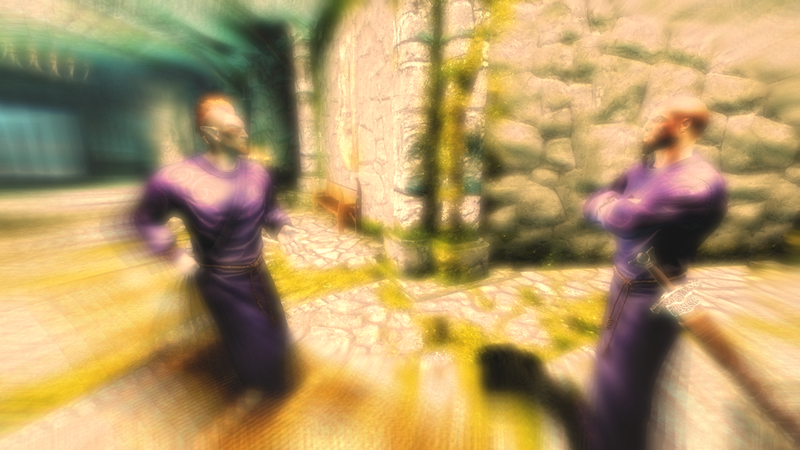 As we headed towards the bar, a dark elf named Erandur stopped me. 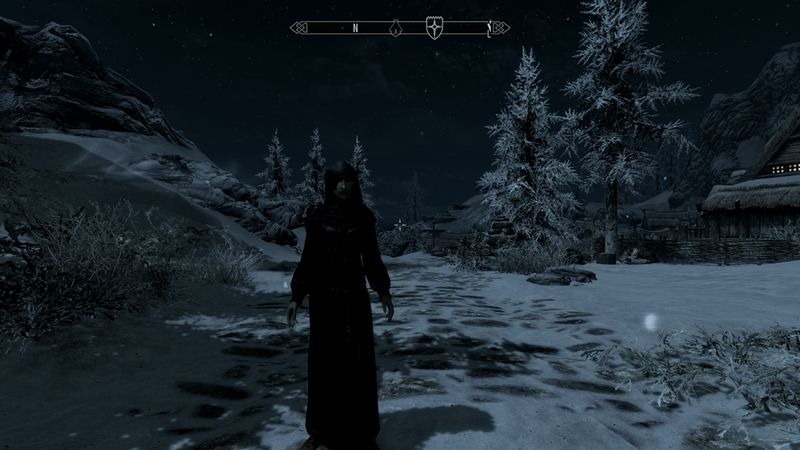 He said he was a priest of Mara who had come because Dawnstar was plagued with nightmares. He feared the daedric lord Vaermina was at hand. The mad daedra Sheogorath for breakfast; the daedric lord of nightmares at dinner. My social calendar was getting quite full. I agreed to help him locate the source of the problem. 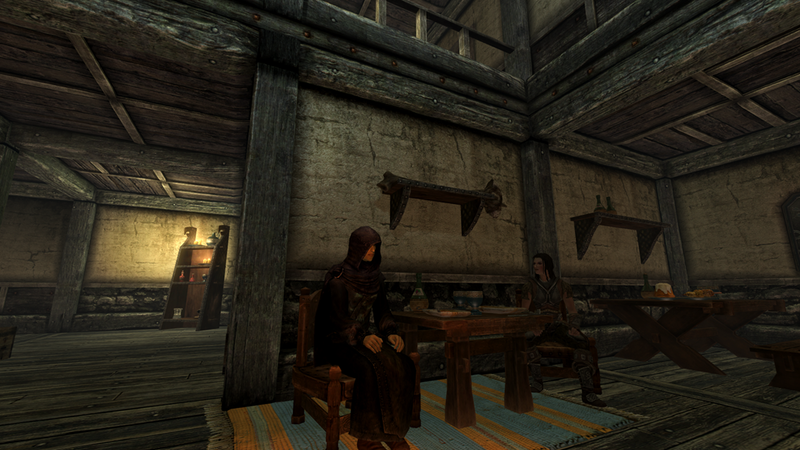 I took my dinner from the innkeeper to go, and followed Erandur up the path to the tower above Dawnstar. 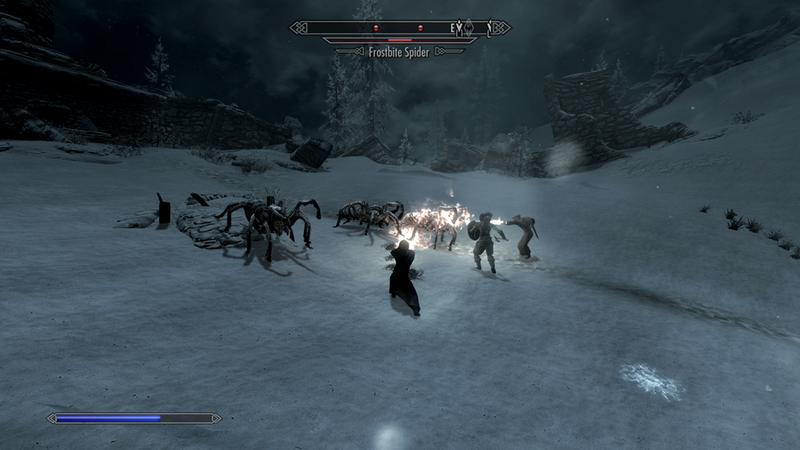 Just outside, we ran into a large group of giant frost spiders. Lydia took the lead in drawing their attention, while Erandur and I burned them. Once they were dispatched, we walked inside the tower. A creepy place with a distinctive smell of magic and incense. But there was something else. The air felt…heavy. Like being awaken from sleep too early. As we walked through, Erandur told us the history of the Nightcaller Temple, which was once a place of worship to Vaermina. We came to a sealed off part of the tower, and he said we needed to retrieve a book from the library. At this point, I pressed him to explain himself. He admitted that he was once a priest of Vaermina, but had sought atonement by becoming a priest of Mara. He said the source of Dawnstar’s nightmares was the Skull of Corruption, Vaermina’s personal artifact. Somehow, it was drawing power from stealing dreams. He said we needed to destroy it. I recall reading about the Skull of Corruption. In the 3rd Era, it was said to make an evil clone of people. Erandur seemed to imply that the skull had changed somehow. We found the book he was looking for, and created Vaermina’s Torpor in the alchemy lab. My eyes widened with wonder in the alchemy lab. I stashed all the ingredients in my pack. I particularly coveted the daedra heart, which was still well beyond my ability to obtain otherwise. I drank the torpor Erandur created and went into a dreamstate that seemed to replay events from the past. Astonished, I realized I was relieving the memories of Erandur himself, at the instant he doomed the tower and inhabitants to a weird dreamlike state. I found a chain on the wall. When I pulled it, I came out of the vision and back into the present. The sealed off part of the tower opened, and Erandur rejoined me. We continued our hunt for the staff. It was guarded by two of Erandur’s former friends and colleagues. An intense mage against mage showdown ensued. We left the hallways scorched with fire and frosted with ice. At the end, I took their robes as trophies. I intended to stash them away in case I wanted to use them for enchanting one day. 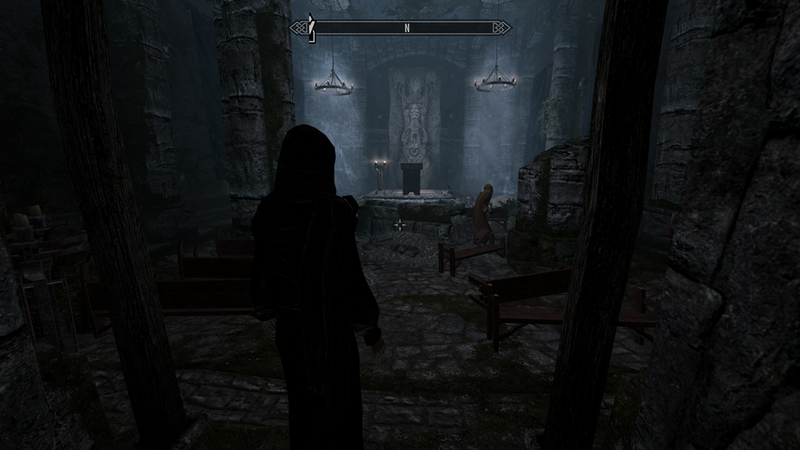 As Erandur began the ritual to destroy the staff, Vaermina spoke to me, and told me Erandur was going to betray me. She urged me to grab the staff for myself. For an instance, I was indeed alarmed. I weighed my options. If Erandur was going to betray me, then it would be better to strike first. I would later reflect how much I have changed since my arrival in Skyrim. Before, I was timid and afraid. I let my brother be my protector. Now that I stood alone on my own feet, I grew confident in my abilities. Certainly I depended on Lydia to assist me through my travels, but I was still in command. Many times she had been brought to her knees by foes, and I was left to finish on my own. And thus, I decided I would not attack Erandur. If he was to betray me, then I would kill him. Without hesitation. I readied the spells in my hand. All I needed to do was charge them. My fingers tensed. My heart pounded with adrenaline and anticipation. Would he? Or wouldn’t he? And he said the task was done. 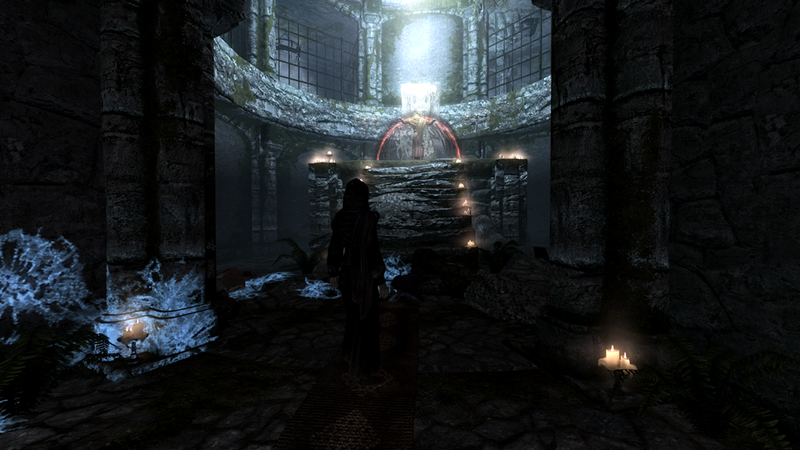 The Skull of Corruption was sent back to Vaermina where it would trouble Dawnstar no more. The charge in my hands faded. I smiled and congratulated him. He created a small altar and said he intended to bring Mara’s light to the temple. He offered to join me in my travels. I politely declined. I felt his work would be best served purging the temple of nightmares, as planned. I didn’t know if Vaermina had a hand in the nightmares that occasionally followed me, but reducing her influence wouldn’t hurt. He said he would be there if I changed my mind. 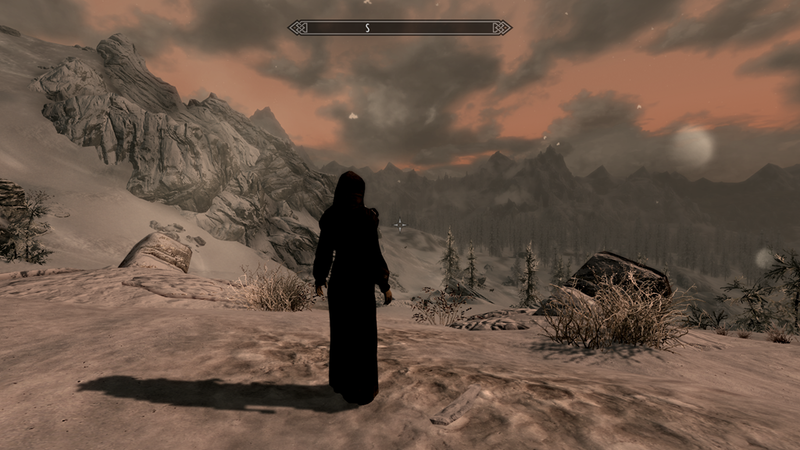 As Lydia and I exited the temple, we were greeted by the sunrise. Upon reaching town, a number of people we passed remarked that the nightmares were gone. We rented rooms at the Windpeak Inn, fell into the beds exhausted, and hoped we would be so lucky, too.